This episode, we focus on the payday lending industry’s most recent attempt to legalize high-cost predatory lending in New York. 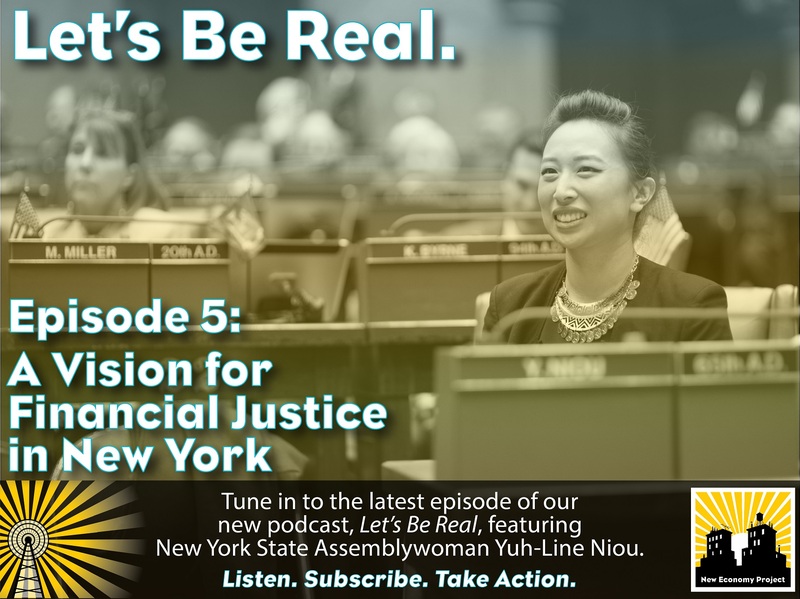 We feature a conversation with New York State Assemblymember Yuh-Line Niou about the importance of standing up for strong consumer protections as a matter of racial and economic justice. We also sit down with New Economy Project’s Campaigns Director, Andy Morrison, to discuss a vision for financial justice for New York City’s communities. While we fight efforts to legalize predatory payday lending in NY, momentum is building in Congress to pass a dangerous industry bill that would allow payday lenders, debt collectors, and others to evade NY’s strong consumer protection laws. Please call your representative today and urge them to oppose H.R. 3299, a bill that would blast the door open to exploitative loans with annual interest rates of 300% and higher in New York. Call the capitol switchboard at (202) 224-3121 or find your member’s phone number, here. See this opposition letter for more information about the bill.